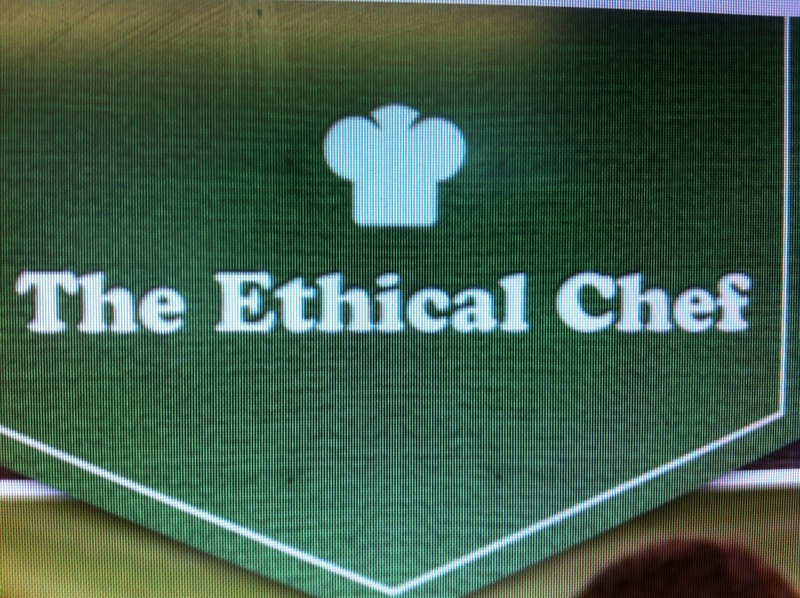 The Ethical Chef was created in 2010 by Deri Reed. A chef specialising in vegetarian cuisine and one extremely passionate about food, health and the environment. 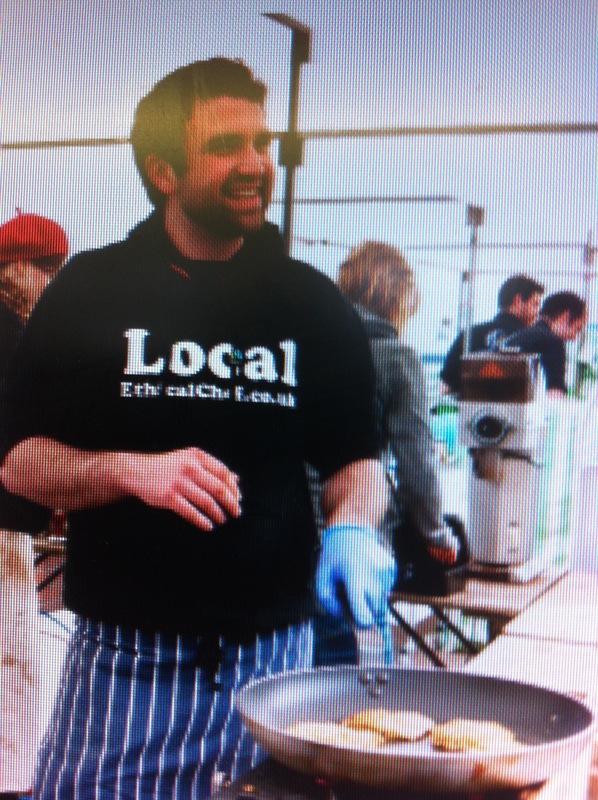 Born in Carmarthen near Cardiff, Deri Specialises in organic veggie cuisine, he is the ‘chef du jour’ and creates ingenious Welsh recipes from the ingredients on his doorstep in Cardiff. He was trained at Veggie restaurant Cafe Paradiso in Cork, Ireland, and offers a Supper Club for £17.50 for three courses which is available at select venues throughout the year in Cardiff and at Festivals and featured at Cradiff’s street food festival and Abergavenny food festival. 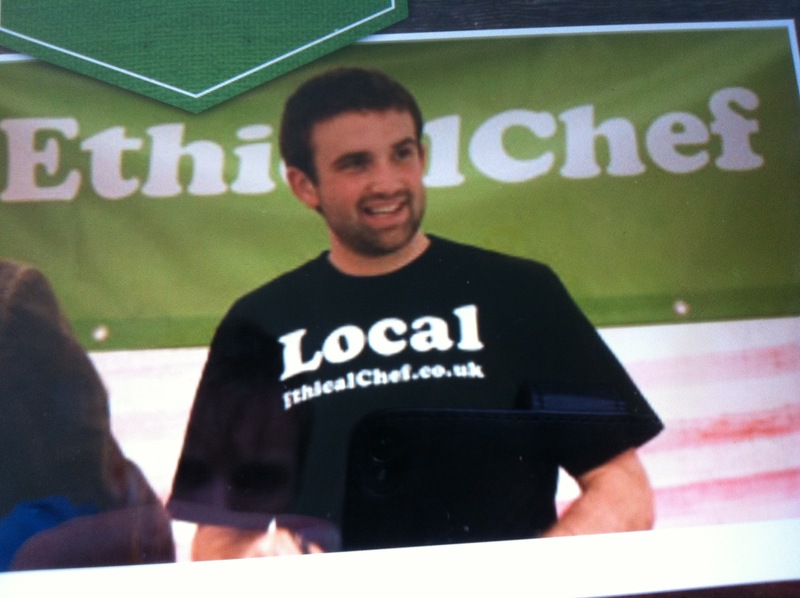 He can also be booked for weddings, events, food festivals and can be seen at Cardiff’s riverside market Sundays 10-2pm. The Ethical Chef use compostable and biogradable packaging and plant starch cutlery which minimalises our impact on the environment. Deri sees the reduction of food waste as imperitive to a balanced environment and vegetarianism is key to this. For his recipes and supper clubs he uses seasonal, organic and local where possible ingredients to create sumptious vegetarian and vegan food. 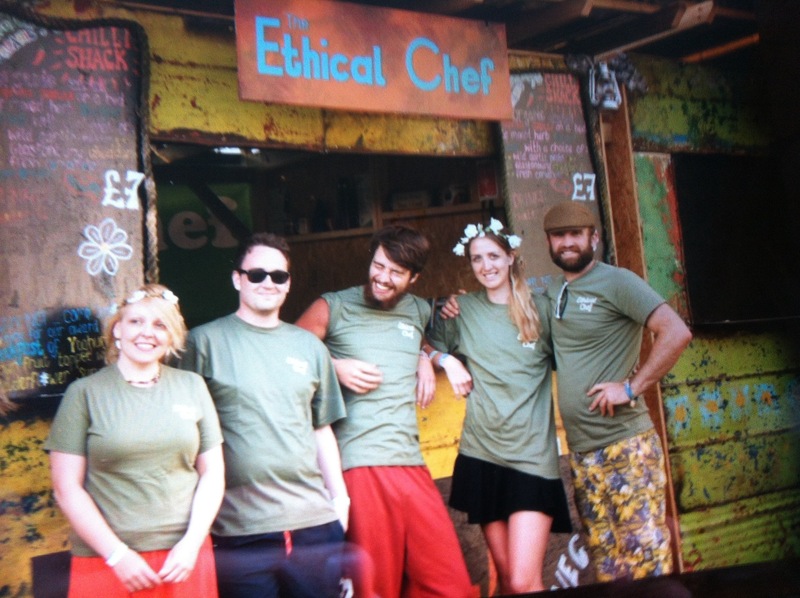 The Ethical Chef appeared at Glastonbury 2014 and created dishes such as foraged fruit in an elderflower syrup on yogurt and museli and an organic smoked chilli on a bed of herbed bulgar wheat, Glastonbury chedder and Yeo Valley yogurt with fresh corriander. 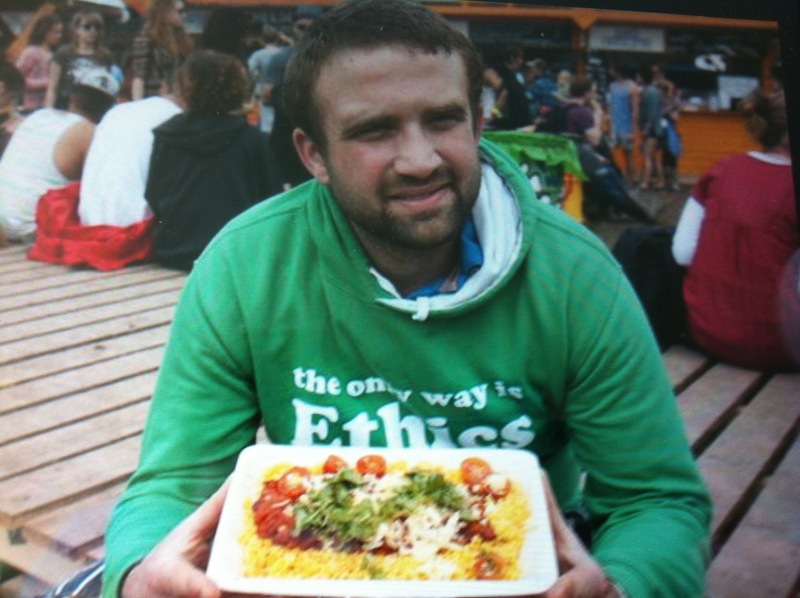 These dishes won The Ethical Chef the peoples choice Green Traders of Glastonbury 2014 award, a major achievement via Twitter. 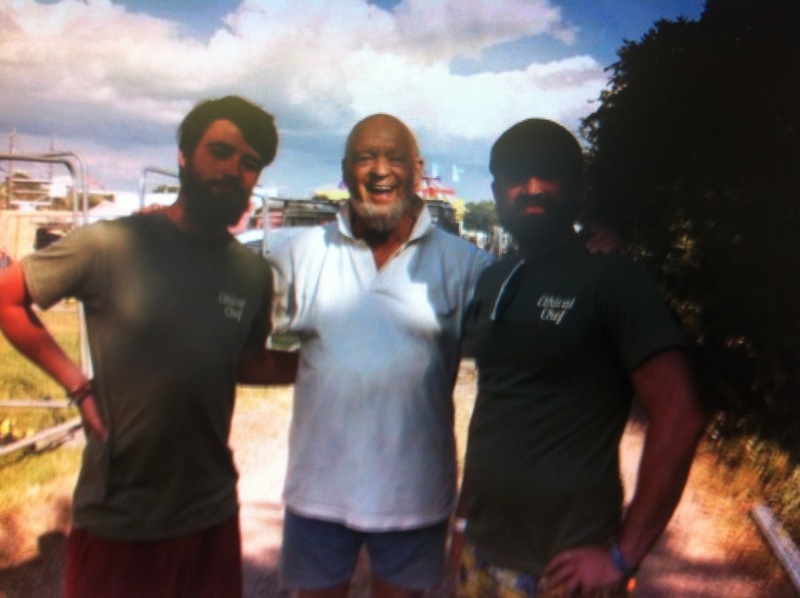 They will be there again next year to cook up a storm. 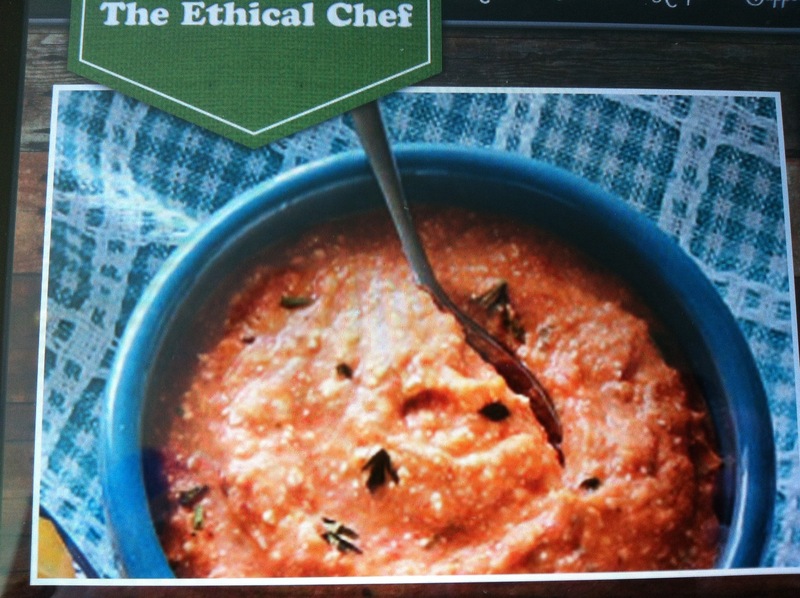 The best part of The Ethical Chef website in my opinion is the directory of recipes that make up the Vegetarian ethos of Dewi Reed. There are many others on the website and online. Green Gathering Festival from the 31st July-3rd August 2014 in Chepstow, Monmouthshire. Wales. 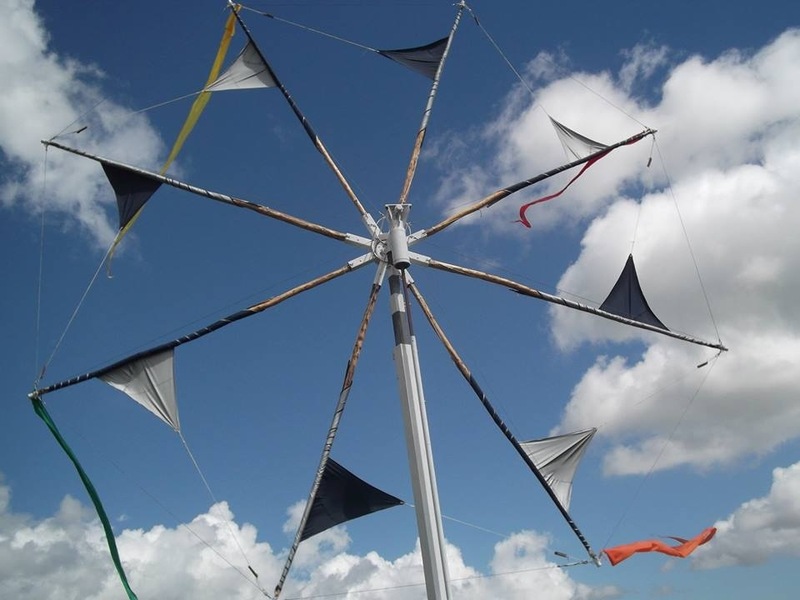 The Green Gathering are a charity that promotes education for sustainability powered by wind-sun-people. For the line up and what’s on see also the website or see twitter for the latest news. 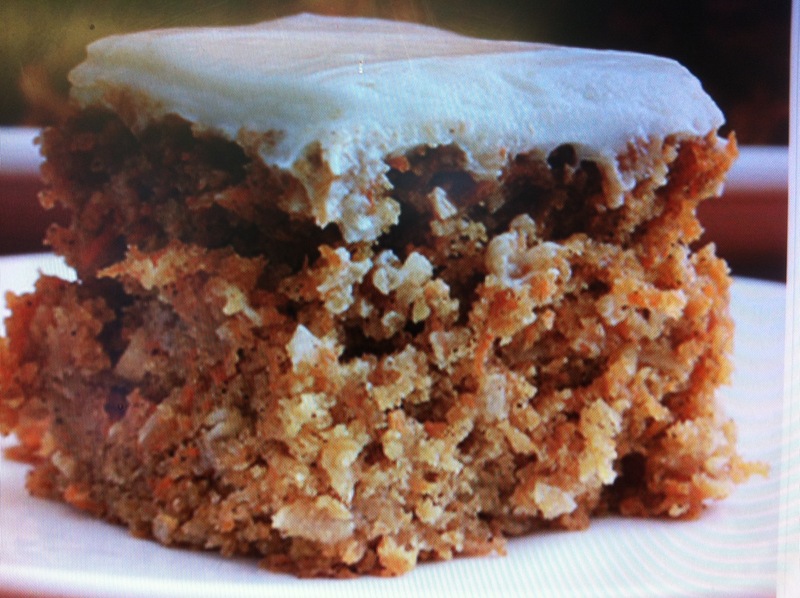 The supper club will be vegetarian and vegan three courses for £17.50. They will also be serving up CoalTown coffee roasters fair trade organic single origin coffee. 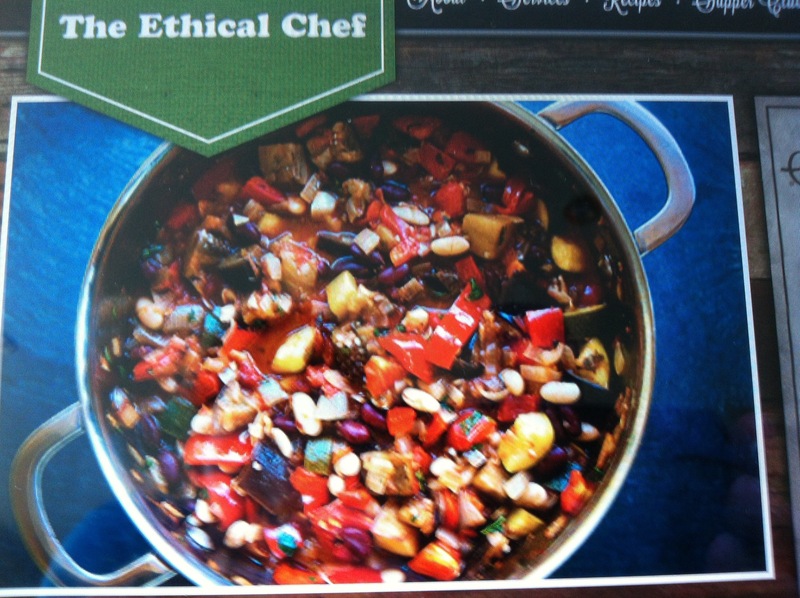 The work of the Ethical Chef is in my opinion to be applauded in our society today. The ethos and attitude, to all things green and to vegetarianism and veganism is singled out in the lovely recipes and awards that Dewi and his team have received. « Tasty Morsels: New Pop Up’s.